Did winter get you down? Did you break all your resolutions? Make this Spring the best yet! - Save money and grow your own veg. - Have time for yourself. - Spring clean your home. The focus here is on improving sleep quality and drinking enough fluids-both essential for keeping healthy. Full of hints and tips, as well as a record to keep track. 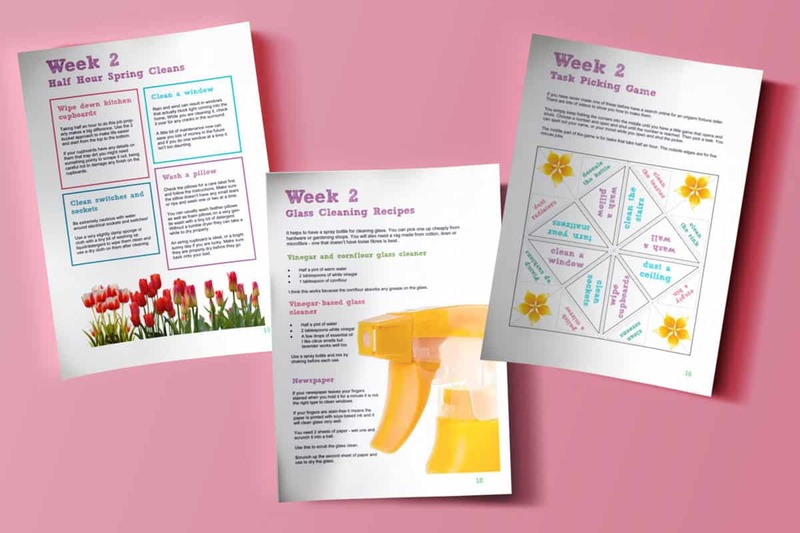 Here you can tackle the dreaded Spring Clean, with a more gentle and considered approach – it may even be fun! 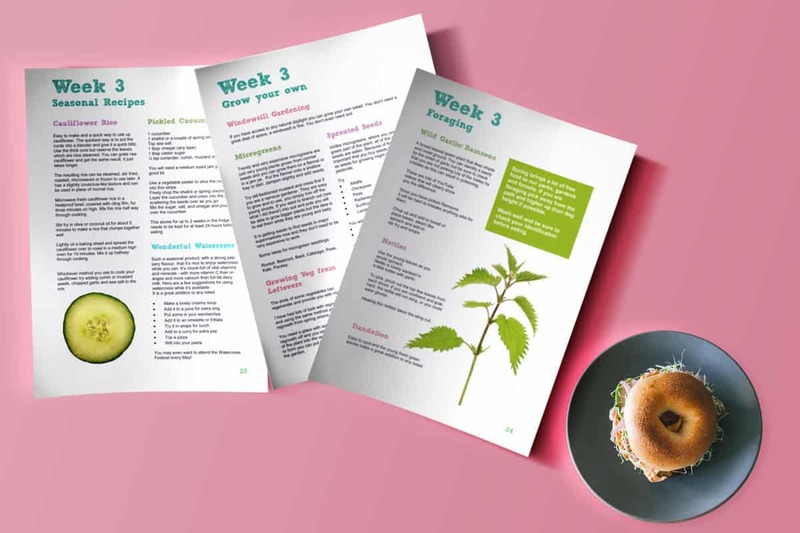 Packed full of ideas for growing and using seasonal produce to increase your vitality and vitamins. No need for a garden or even a window for some of them. 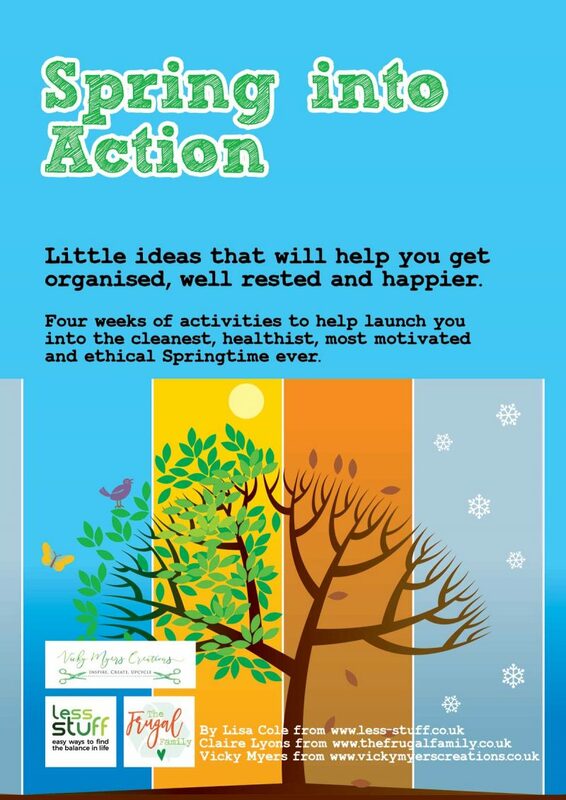 Focus on looking after your physical and mental well-being with a range of ideas for healthy living, with the same practical approach and realistic options. Wonderful read and great advice. 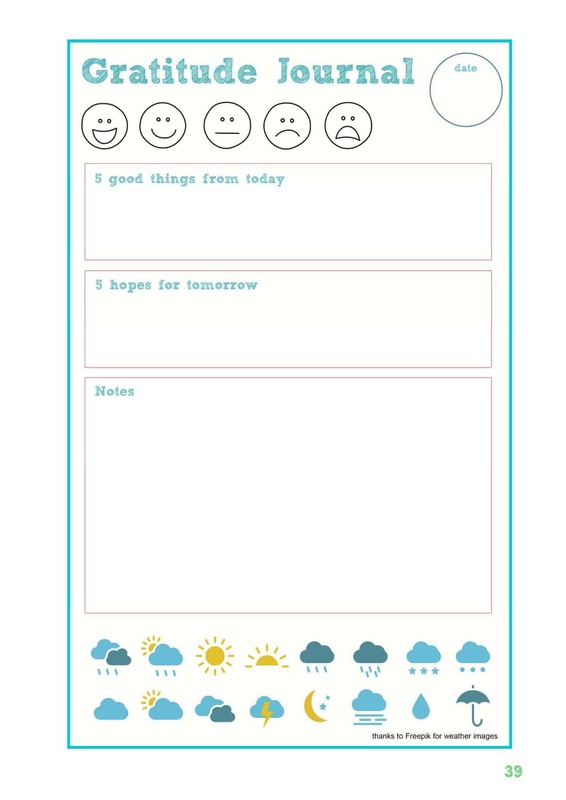 Really useful in all areas of de-cluttering and health and well-being. 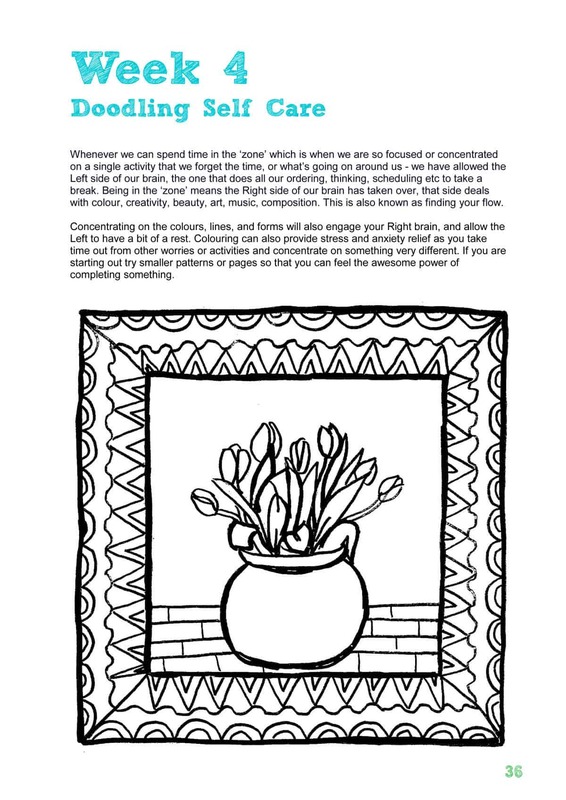 A realistic and handy booklet where the tips are written with style and is good to read as well. 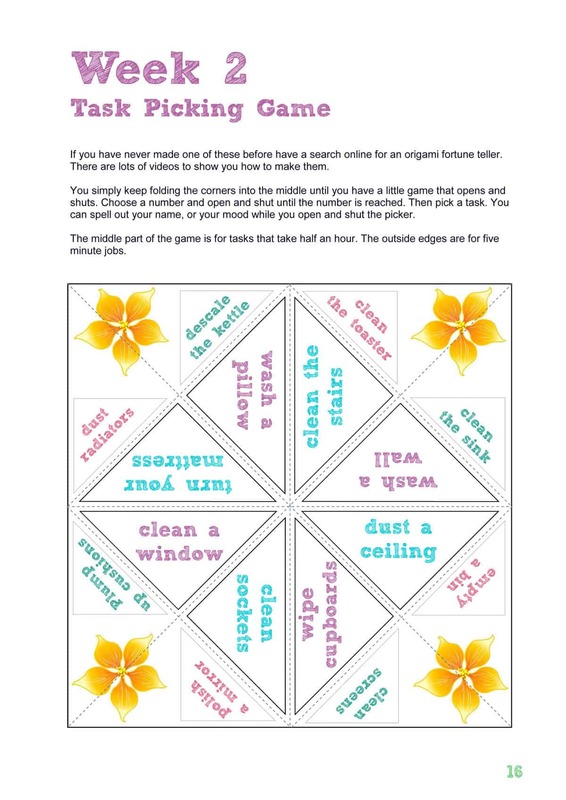 A really fun way to tackle spring cleaning, decluttering and healthy living. 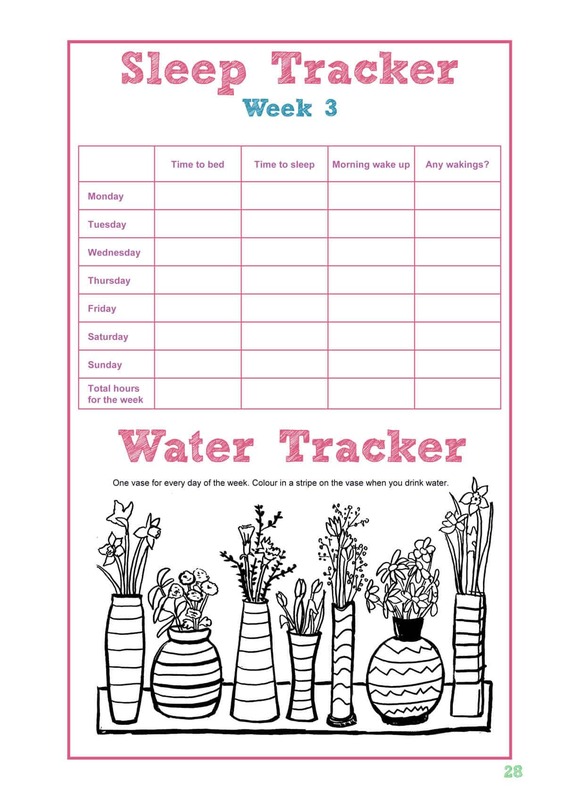 I love the vases to colour in to make sure you drink enough water. I have a copy of this and love the 5 minute spring clean ideas and the tips on natural cleaning ingredients. 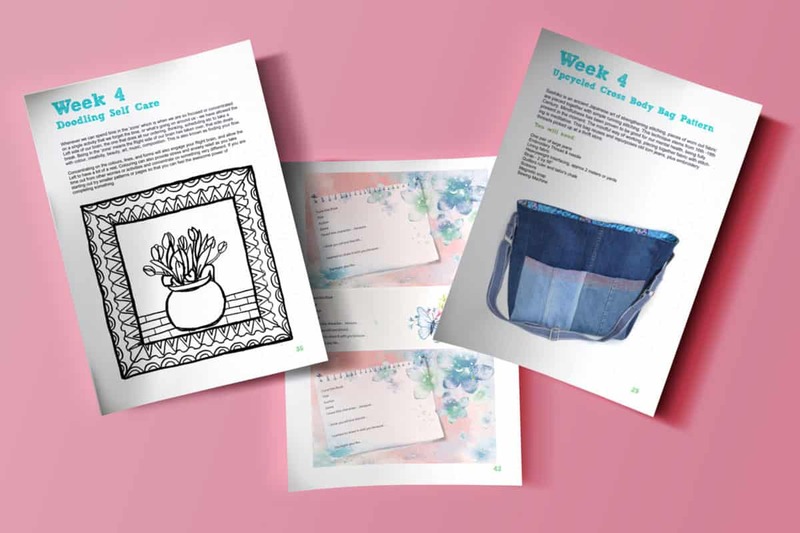 I've teamed up with upcycling expert Vicky Myers and the brilliant Claire Lyons who is the frugal family expert. 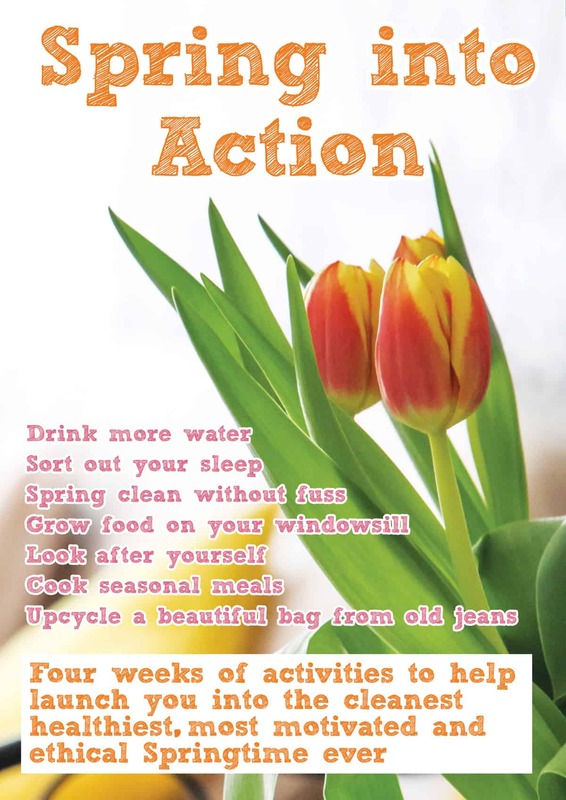 Between us we have come up with a solution to make spring fun, frugal and environmentally friendly too. 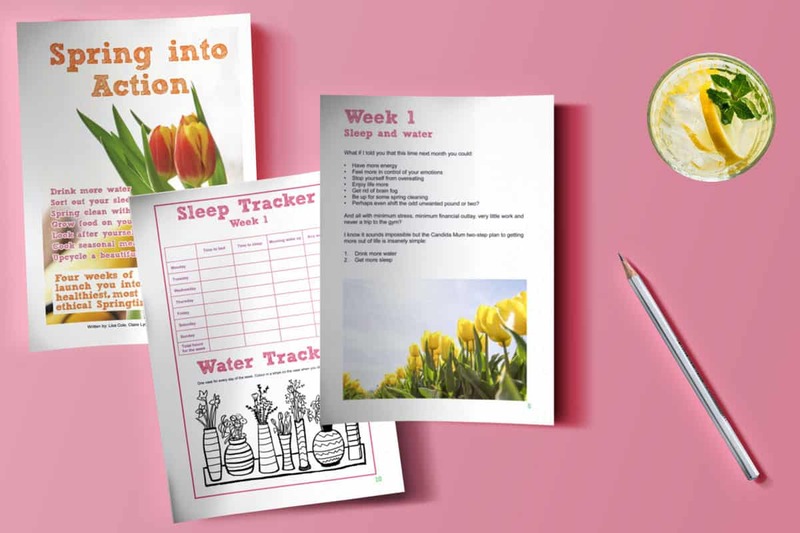 Candida Mum has helped with her expertise on sleep and hydration. Do you want a freebie instead? Check out the easy decluttering calendar.